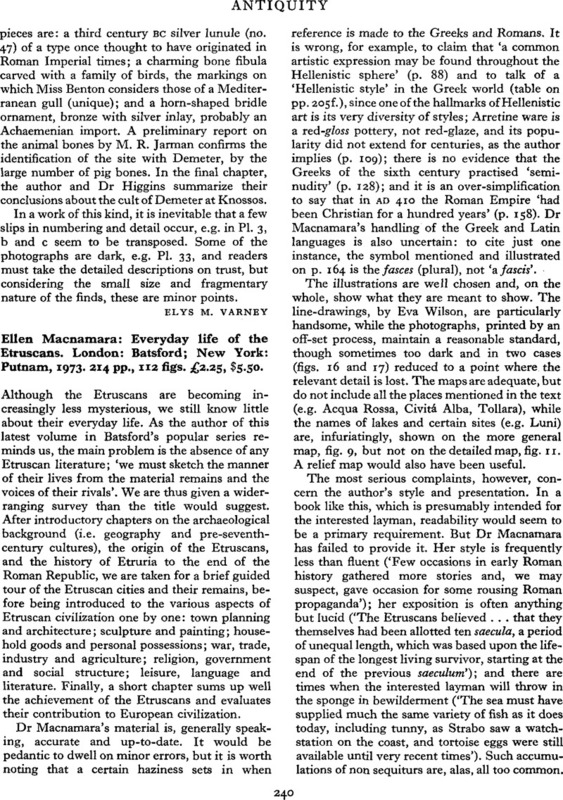 Ellen Macnamara: Everyday life of the Etruscans. London: Batsford; New York: Putnam, 1973. 214 pp., 112 figs. £2.25, $5.50.